A portable suction device is an indispensable part of your emergency medical kit. Airway management can save lives following drowning, traumatic injuries, respiratory infections, and numerous other injuries and ailments. The right portable suction device saves lives. The wrong portable suction device can be a source of endless frustration and may even injure patients’ airways. Eighty percent of laryngeal injuries follow easy intubation. A quality suction unit greatly reduces the risk of these injuries. Here are the factors to evaluate when selecting a portable suction device for your agency. Investing in the appropriate number of devices is just as important as investing in the right device. Hospitals should consider how many locations in the building necessitate airway management. Field operators, such as EMS professionals, should assess their previous history of airway management, then weigh this data against the likelihood of a mass casualty event necessitating numerous units. Busy urban facilities typically need more units than those in quiet and rural locations. The right suction device must be easily controlled to prevent damage to delicate airways. It’s equally important that it provide adequate suction. The most effective devices provide at least 300 mmHg of suction, with the option to decrease suction for pediatric patients. Although it’s possible to purchase devices that offer different levels of suction, a single portable unit with adjustable suction is the most practical. Flow rate, which refers to the volume of material a portable suction device can clear, is just as important as suction. If a device’s flow rate is too low, it’s virtually impossible to ensure airway patency. Ask about the unit’s minimum flow rate, which should be at least 30 liters per minute. Unlike wall units, power is a major consideration for portable suction units. The unit should have a long battery life, as well as the option to plug into a portable charging source. Additional factors that make charging easier—such as rapid charging or a charging self—can help keep the unit powered. When purchasing a device, ensure there are extra batteries readily available. In the event of a mass casualty or other catastrophe, being able to quickly change the batteries can be a matter of life and death. The right disposables are just as important as the suction unit itself. Catheters, for instance, must be appropriately sized—usually 50 percent of the internal diameter of the endotracheal tube (ETT). For the best patient outcomes, ensure you have enough disposables in various sizes available. Consider selecting a portable suction device that is compatible with the disposables you already use. A portable suction device is an investment. Before making this investment, ask how long it is likely to last. Does the vendor offer a warranty, a guarantee, or help with troubleshooting? What about help with maintenance? Ideally, you should be able to provide all maintenance in the field. A portable suction unit that requires continual mailing back and forth with the manufacturer is a suction unit that is destined to spend time out of commission. It’s reasonable to expect a quality portable suction device to last about a decade. To ensure the device you choose lasts as long as possible, consider the contexts in which it might be used. EMS professionals using portable suction in the field typically subject their devices to more abuse than providers in hospital settings. Select a device designed for the wear and tear to which you plan to subject it. A portable suction device should be easy to transport, even with several other emergency devices in tow. Ask pointed questions about the size and weight of the device. Then, critically assess whether the portable suction unit and its components—batteries, catheters, canisters, and so on—will easily fit into the space for which they are intended. EMS professionals investing in portable suction for tactical medical purposes must be especially mindful of space and weight constraints. Airway emergencies are unpredictable. Having accessible, portable suction is the key to prompt intervention. Cumbersome units that can’t be moved easily simply aren’t enough. Portable suction ensures compliance with the EMTALA’s dictate that emergency departments can clear the airway up to 250 yards from the facility. They guarantee timely intervention to protect the airway, and they save lives in the event of natural disasters and mass casualty events that render wall suction useless. 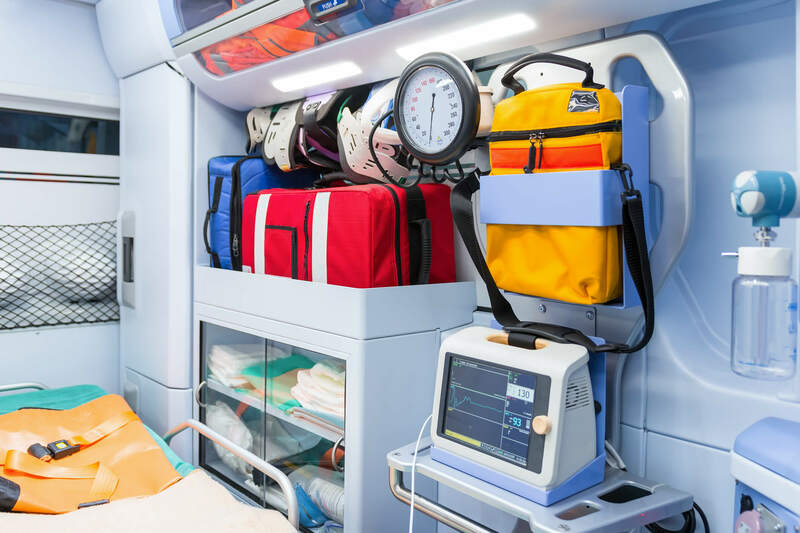 To learn more about choosing the right portable suction unit for your needs, download The Ultimate Guide to Purchasing a Portable Emergency Suction Device.